Homie won’t be running for the U.S. Senate anymore. 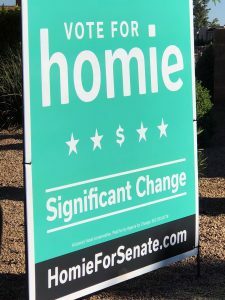 The Utah-based real estate company, which made headlines with a guerilla marketing campaign that took advantage of an election season loophole to post “Vote For Homie” signs on street corners throughout metro Phoenix, has agreed to never duplicate the ad in future election cycles. 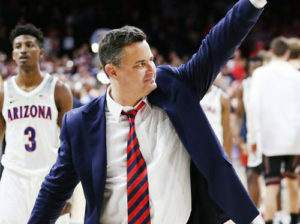 Arizona Attorney General Mark Brnovich said that the company went too far in its faux election campaign and improperly collected consumer data. Brnovich and Homie CEO John Hanna filed an agreement in Maricopa County Superior Court on Nov. 16 stating that Homie would drop the act. “Homie shall not advertise itself as a candidate for any office,” the filing states.